Reads MuST FBG Sensor dynamically at up to 500 samples/second. The MuST VII Dynamic reading unit is able to measure MuST FBG (Fiber Bragg Grating) sensors. The system is designed for dynamic and long-term measurements. 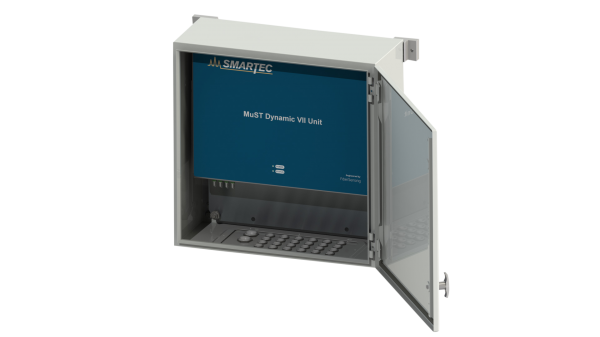 The MuST VII Dynamic RU is integrated in a compact steel housing designed for permanent installation in any structure that requires continuous monitoring. 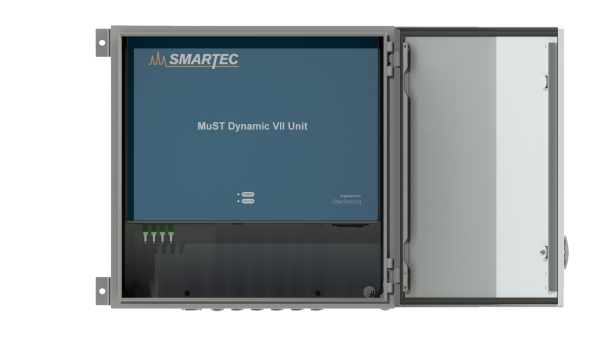 The MuST VII Dynamic reading unit allows to measure 1, 4 or 8 channels. On each channel it is possible to connect up to 7 MuST deformation sensors, up to 12 MuST strain sensors (depending on sensor type, see sensor datasheets for details), or up to 25 MuST Temperature sensors. 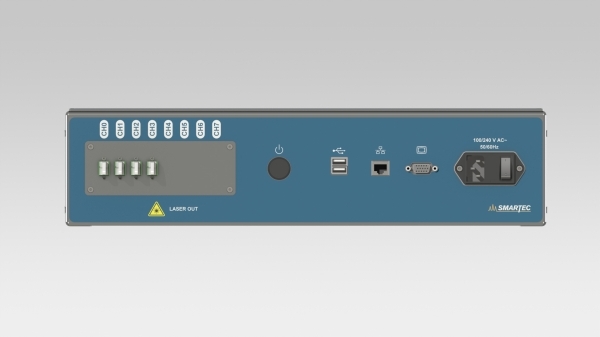 The unit contains a field PC that provides data logging and remote inter-facing functionalities.